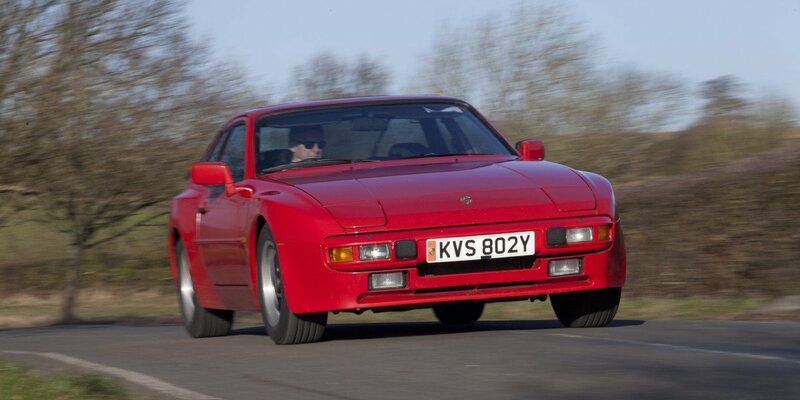 Octane's Glen Waddington re-boots his Porsche 944. - Vintage Tyres Octane’s Glen Waddington re-boots his Porsche 944. Octane’s Glen Waddington re-boots his Porsche 944. It’s been an extremely busy year so far. So much so that the 944’s road tax became rather suddenly due, at which point I realised it needed an MoT, too. And it failed. Nothing major, thankfully, but the advisories included the need for four new tyres. Ouch. So I called Vintage Tyres of Beaulieu for some advice: which make to go for? And which size? The latter, I’ll admit, was something of a mystery. It’s well-known that some Porsches of that era ran bigger tyres at the back, and the Michelin handbook states that standard-fit OEM front tyres for an ’83 944 should be 185/70s. Only mine was on 215/60s all-round. Hmm. The Porsche-approved fitment is a Pirelli but they’re at the pricy end of the spectrum. So Vintage Tyres did some digging and suggested Continental Premium Contacts in the 215/60 size. But then they revealed that Dunlop makes a matching set (185/70s plus 215/60s, V-rated for 15in wheels) in its new Sport Classic range. And they’re much better suited to my budget than the Pirellis or the Avon ZZs that are also available in that combo. But then, while clearing out some files at home, I discovered my original dealer brochure, which states that 185s are standard and 215s optional – though, unlike with the 911s of that era, they’re not mixed. I have a Porsche certificate of authenticity too, which lists the options my car was fitted with at the factory. Bingo! It should be on the 215s after all. So, 911 owners, you now have an option other than Pirelli for your odd-sized tyres. And I have a set of Dunlops that look suitably period, are quiet, ride well, and have proved suitably safe in recent cold, damp weather. And they’re great value for money, too. Best of all, my 944’s strange tendency to tramline and to weight-up in corners is now banished. And I’m sure the tyres – running pressures of 29psi at the front, and 36psi at the rear – are due much of the credit.